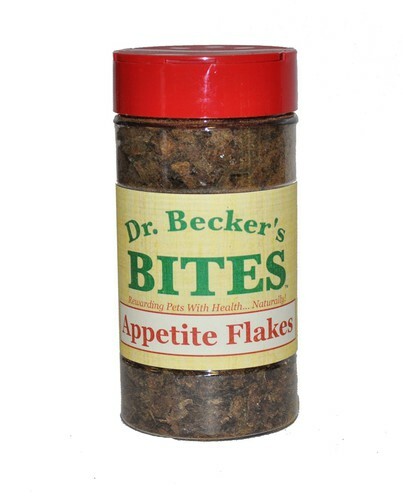 Becker’s Bites was born out of necessity! 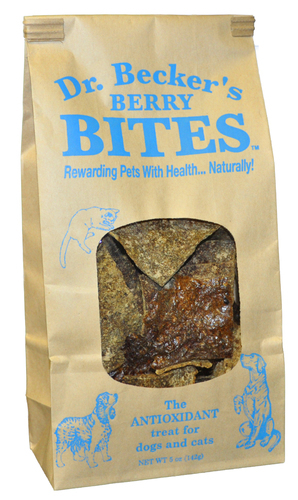 Karen Becker, DVM, NMD asked her mother to bake some special treats for her own personal pets. Knowing that grain-free, wholesome 100% meat treats were difficult to find, she suggested a few recipes for her mother to try. After six months of “playing” with different ingredients and baking methods in her kitchen, the first batch of treats as they are prepared today came out of the oven and were sent to Karen. 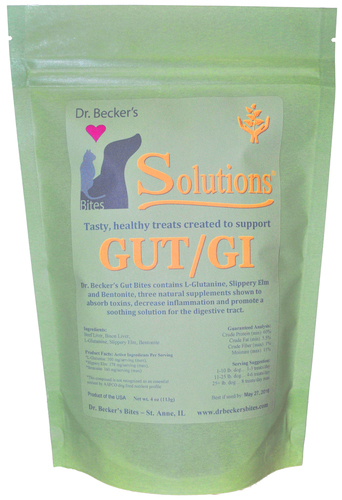 Becker’s Bites was conceptually born. 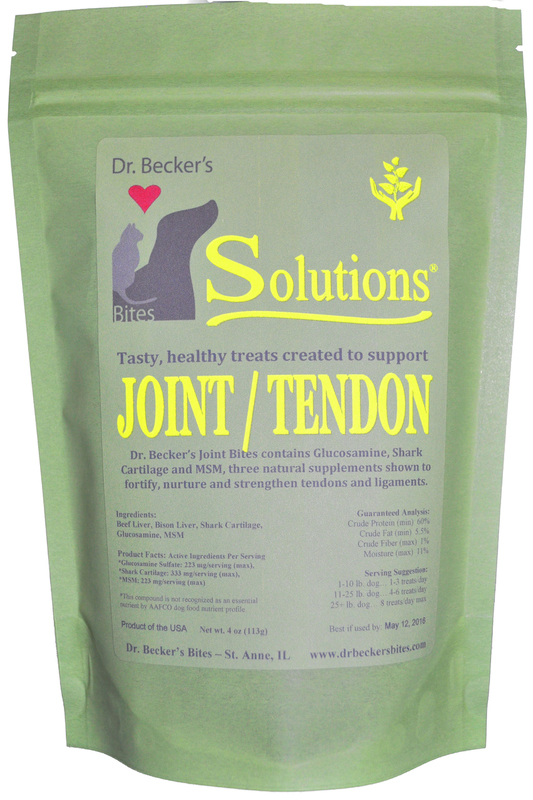 Karen’s dogs and cats (and crocodiles) went “absolutely nuts” over the treat and Karen asked for another order of the “Bites” to place in her clinic. They sold out within hours and Becker’s Bites was officially born. 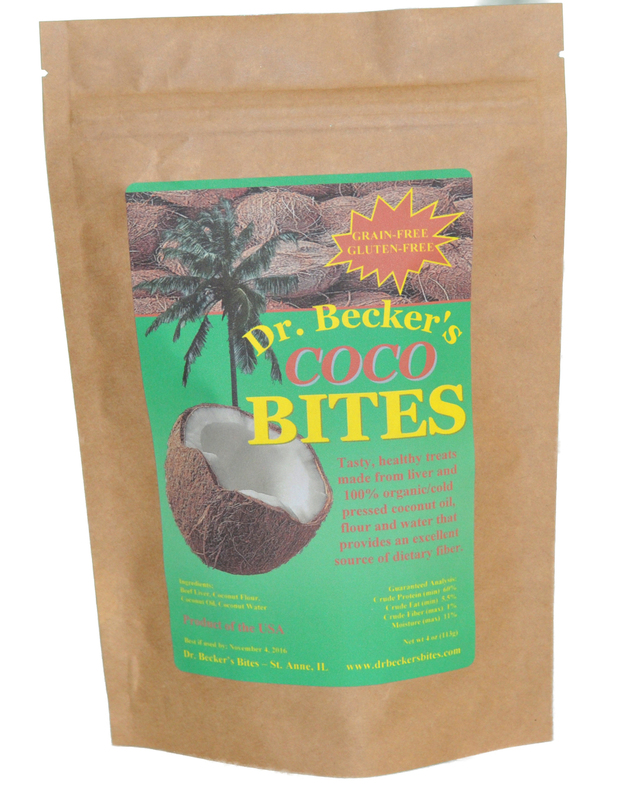 Although Dr. Becker’s Bites was created by her mother, Karen has lent her name to the products, satisfied with the quality that her title bears. 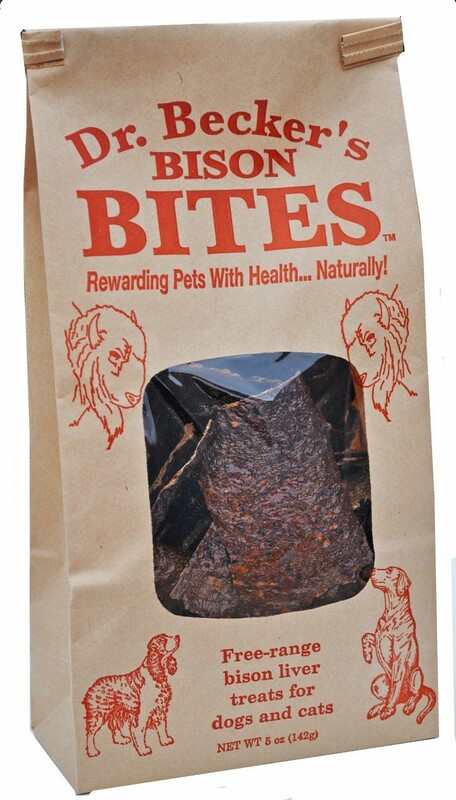 Word around Chicago quickly spread about a new treat on the market and orders from other stores soon arrived. Jeannine enlisted the help of her husband Jim for the “physical” part of the baking. She then turned to her son John for his knowledge in business, sales and marketing. Jeannine’s “hobby” was turned into a true family-owned business. “Mom” was quickly forced out of her kitchen and today our commercial bakery fulfills orders from New York to California. 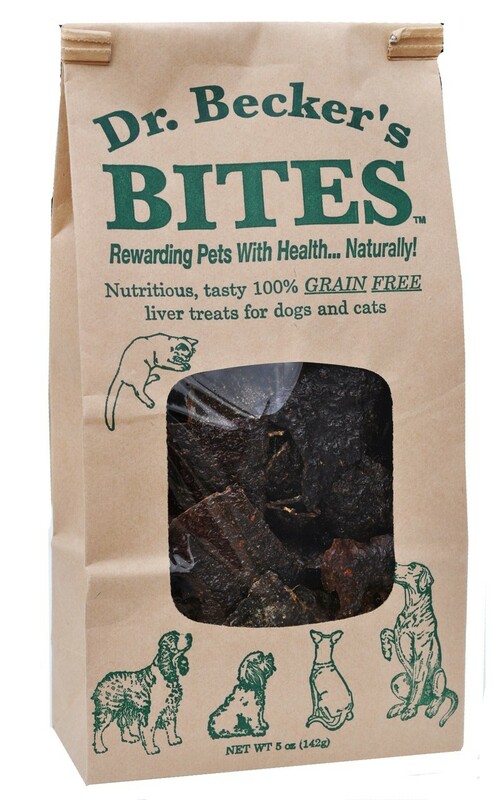 New products are on the horizon that will cater to our primary philosophy – rewarding pets with health… naturally. 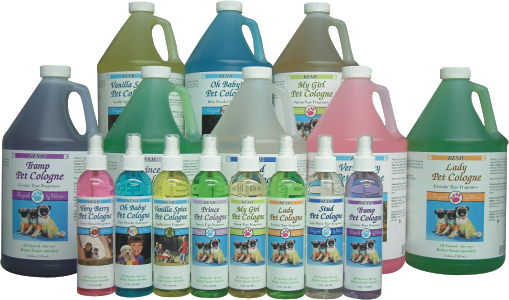 Our promise is that we will produce products of the highest quality without compromising health for cost…EVER! 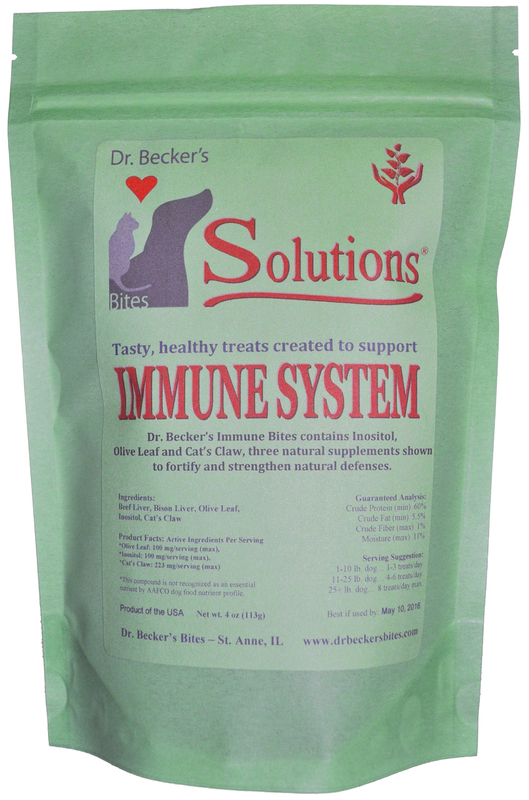 Dr. Becker’s Solutions Line continues our seventeen-year tradition of providing a 100% USDA inspected liver treat that is grain-free and filler-free. We then take the healthy treat to a new level with the addition of natural organic herbs and supplements designed to support health in various systems. 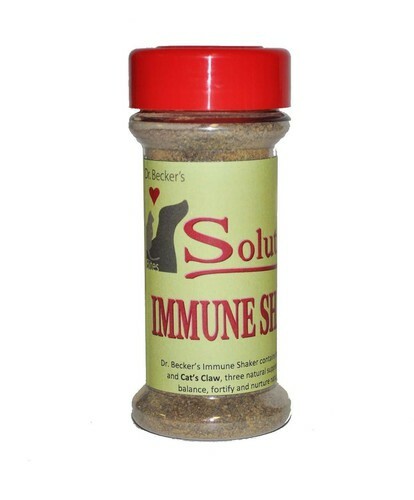 These delicious treats are also available in our “Shakers” – supplemented treats in powdered form that are sprinkled over your pet’s current diet for a taste that’s impossible to resist.